Feltro is André Gonçalves’ solo moniker. Feltro makes use of analogue synthesizers, laptop and several other electronics to create performances of tender and somewhat melancholic textural landscapes. Feltro performances are rather rare, sparse and irregular in content, they take in consideration the site-specificity where being presented to maximise their potential to embrace and lead the audience in a path to a contemplative state. What better place to present his work than a cold Ljubljana night shrouded in mist. For this performance he made use of a new creation developed during his residency at MoTA. André Gonçalves (pt) is a PhD Candidate in Science and Technology of the Arts at UCP, Oporto, works across the fields of visual arts, music, video, installation and performance. Since 2002, he has been refining his ‘do it yourself’ approach to electronics, experimenting with digital and analog technologies, old and new hardware and various techniques to create intermedia pieces. Recent projects have included installations such as ‘(Un)Foreseen Events’, Thessaloniki Biennale (2011), ‘Driven By or The Careless Self-Indulgence of Dystopia’, Laboral, Gijón (2010), ‘The Bird Watcher’ (2010) or ‘Trigger Happy’ (2009). These and other works have been presented in several galleries and festivals such as Nam June Paik Art Center, Seoul; Experimental Intermedia Foundation, New York; FILE, Sao Paulo; Offload Festival, Bristol; Steim, Amsterdam; ICA, London; Pixelache Festival, Helsinqui; Todays Art Festival, Den Haag; Ura! Gallery, Istanbul; La Casa Encendida, Madrid; L’Antic Teatre, Barcelona; La Laboral, Gijón; Museu Vostell Malpartida, Cáceres; Serralves Foundation, Oporto; Calouste Gulbenkian Foundation, Lisbon. Awarded with an Honorary Mention at Digital Languages Category in FILE Prix Lux 2010, São Paulo and Finalist in the Performance category Celeste Prize 2010. His discography, among others, includes releases on the labels Winds Measure (US), Transacoustic Research (AT), Cherry Music (JP), Effervescence(FR), Grain of Sound, Crónica Electrónica and Sirr (PT). 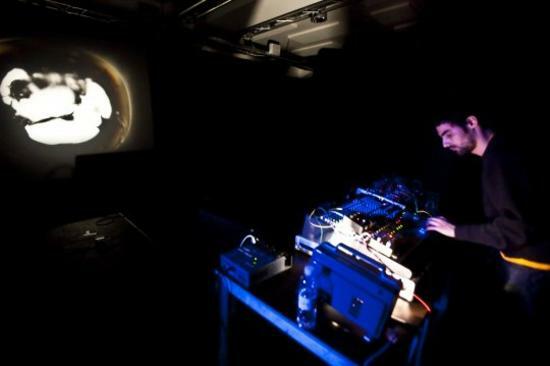 His music work, solo or in collective projects, include more than 15 editions in several recording labels under the names: Ok.suitcase, In Her Space, Stapletape, Iodo, ltthwhasp, Sound Asleep, Safe and Sound, Variable Geometry Orchestra… Recently he has been working on his solo project Feltro and in the collectives O Carro de Fogo de Sei Miguel and Gigantiq.